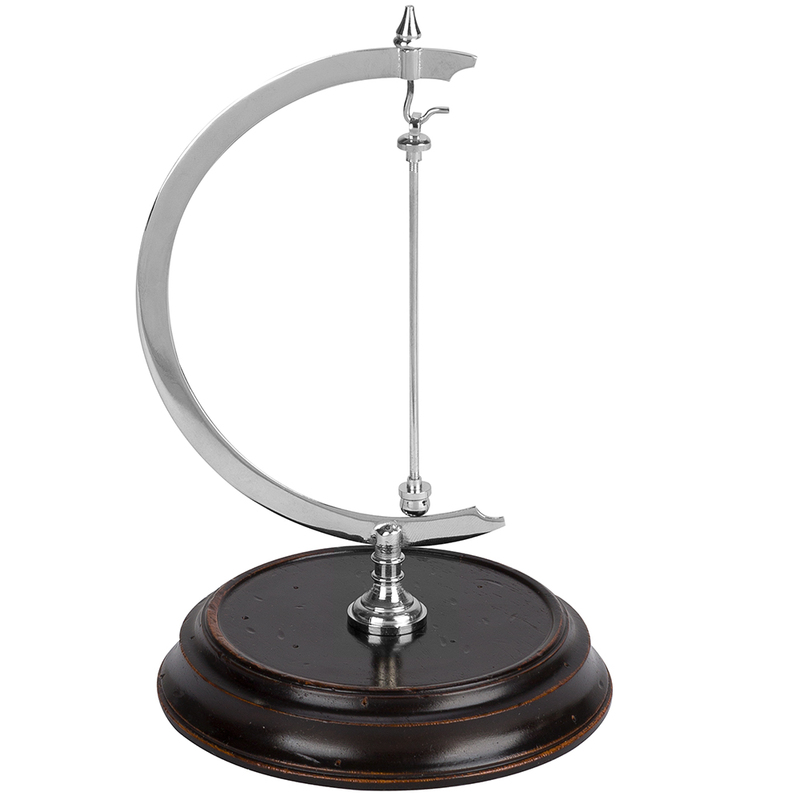 Now you can display this stunning timepiece on your desk in style with this Stand for Eye Of Time Clocks. Featuring a design based of standard globe stands, this accessory features a solid wooden base coupled with nickel-plated brass framework and displays your Eye Of Time clock in spectacular fashion. Crafted from wood and nickel-plated brass. Designed for use with Eye Of Time clocks (Sold Separately). Assembled Dimensions: Approx. 17.8cm (h) x 11.4cm (w).